ADPS motor run capacitors are similar to our ADP series of motor / AC capacitors but with the additional protection of Segmented Safety Film that will prevent case rupture in the event of overload, abnormal heat or natural end of product life. 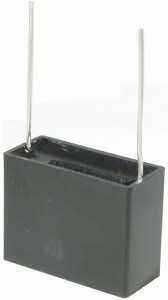 These Dry-type capacitors typically use segmented electrode (fuse type) film material. 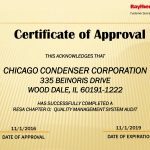 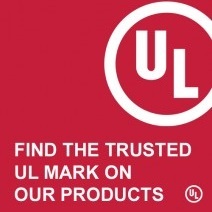 This technology applies to all ADPS and carries the P-2 or Protected rating. 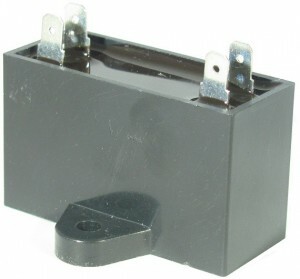 The ADPS motor run capacitors will fail only in the “open” condition and is protected against fire and electrocution. The ADPS motor run capacitors are available in capacitances up to 30 microfarads and with voltage ratings of 250, 370, and 440 VAC. The metalized polypropylene film dielectric provides excellent electrical characteristics including stable capacitance over time and temperature and a very low Dissipation Factor (internal heating). 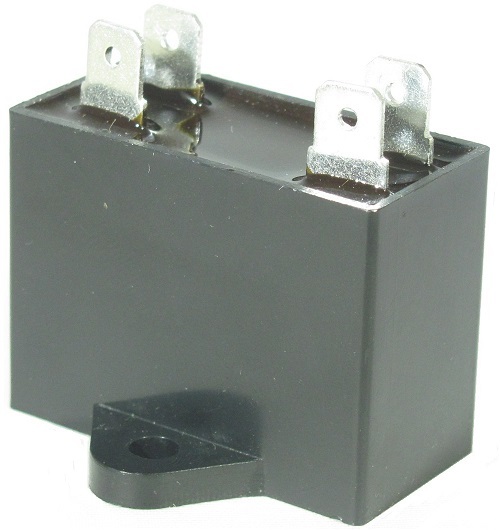 The ADPS motor run capacitors’ integral mounting ear makes it an excellent choice for difficult to mount applications and the choice of terminal configurations is another big plus. 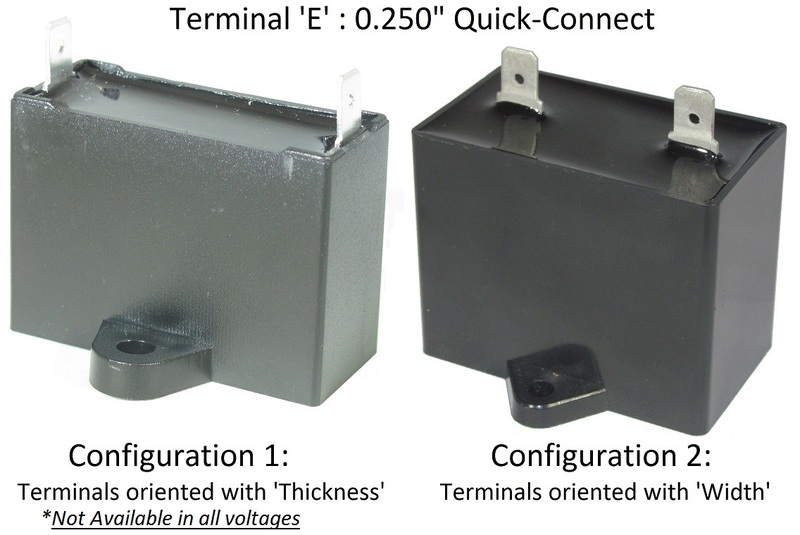 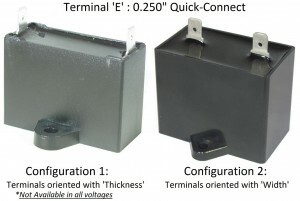 Terminal configuration includes single or double 0.187 or 0.250 spade terminals fast-on, insulated wire leads, or PC-mount pins. 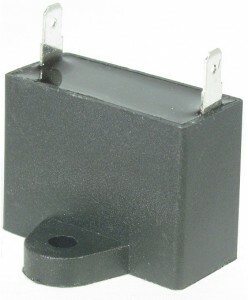 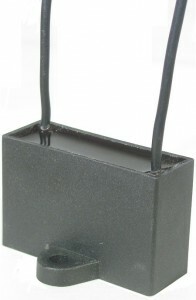 ADPS motor run capacitors can be supplied with a “lay-down” type bracket which provides additional mounting options. ADPS motor run capacitors offer UL, cUL, VDE, TUV, and CE approvals available and are also RoHS compliant.